14th Annual Teen Filmmaker Festival Winners! 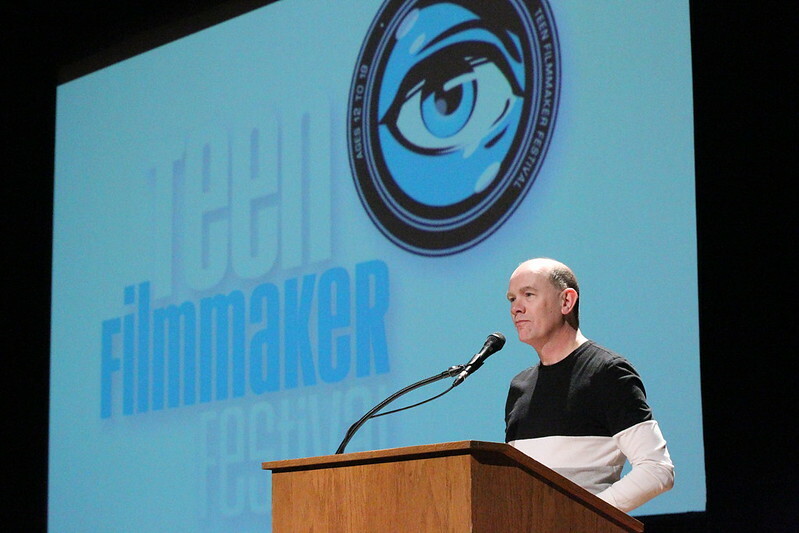 Congratulations to all the winners and finalists in the 14th annual Teen Filmmaker Festival! Cast: Dori Rutherford, Delante Rutherford. Written, produced and directed by DyShauna Rutherford. A woman comes home to discover that her house has been broken into, but the threat may be something far more sinister than she could ever have anticipated. Written and directed by Dominic Krupp. Starring Maria Krupp. The 1% explores the dangerous future (and present) of our nation's most precious natural resource: the Great Lakes. Directed by Griffin Olis. Written by Mustafa Rasheed, Zehn Wani, Michael Frazier. Produced by Mustafa Rasheed, Zehn Wani, Michael Frazier, Griffin Olis, Adam Burns. Written and directed by Logan R. Workman. Starring Nathaniel Chiu. An original music video from the all-girl, Detroit-based band, Blood and Wine. Directed and produced by Claire Davis and Eleri Watkins. Written by Claire Davis. Starring Alana Richardson. Written, produced and directed by Erick Hatter & Seamus Hyman. Starring Erick Hatter, Seamus Hyman and Alex Smith. A man is suffering from a form of schizophrenia and has hallucinations of a stalker who seems to get closer to him with every encounter. Directed by Reid Riley. Written by Reid Riley and Dominic Krupp. Director of photography: Dominic Krupp. Starring Reid Riley and Dominic Krupp. Produced and directed by Dorian Murphy. Assistant Director: Emilee Erny. Written by Dorian Murphy and Brandon Viele. Starring Grace Schafer and Aaron Applebey. Young Filmmakers Award New Category! Written, produced and directed by Makenzie Hanfland. Starring Makenzie Hanfland. Films must be produced by teens, ages 12-19, who reside in the state of Michigan. More than one teen may work on a film. Adults may be talent in a film, but should perform no other duty in the actual creation of the film. Films may not be more than 10 minutes long. No bloopers, please. Teens may submit more than one film. Films submitted to the festival will not be returned. A panel of judges will select the winners in each category except the People's Choice Award, which will be chosen at the Teen Filmmaker Festival by the audience members.